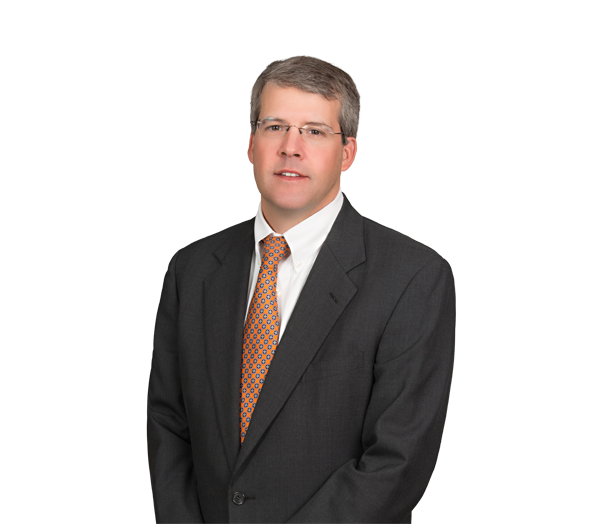 Doug Jarrell practices in the areas of business litigation and employment law. He has extensive experience in litigating matters involving noncompetition contracts, employee departure matters, shareholder and partnership disputes, corporate governance, business valuation issues, insurance coverage, breaches of contract, landlord-tenant issues, unfair trade practices and business tort claims. Doug regularly counsels clients regarding the avoidance and resolution of pre-litigation business disputes and employment issues and assists with negotiating and drafting employment and severance contracts. His litigation practice includes the trial and appellate levels. Doug regularly represents clients before state and federal trial courts, including the North Carolina Business Court; appellate courts, including the North Carolina Court of Appeals, the North Carolina Supreme Court, the 4th Circuit Court of Appeals and the 2nd Circuit Court of Appeals; and state and federal administrative agencies. Doug is a frequent speaker at state and local seminars regarding noncompete issues, employment law and shareholder litigation. Represented national bank in lender liability litigation brought by more than 70 plaintiffs arising from failed real estate development in the North Carolina mountains. The court dismissed all claims brought by plaintiffs and awarded monetary damages in favor of lender on counterclaims. Result affirmed on appeal. Obtained dismissal of lawsuit alleging fraud against hedge fund filed in the Southern District of New York. Dismissal was argued before, and affirmed by, the U.S. Court of Appeals for the 2nd Circuit. Argued before, and obtained opinion from, North Carolina Supreme Court affirming Business Court's dismissal of all claims against client arising from software agreement. Christenbury Eye Center, P.A. v. Medflow, Inc., 802 S.E.2d 888 (N.C. 2017). Secured successful resolution of litigation filed in the Eastern District of New York on behalf of office supplies dealer brought by distributor asserting claims for breach of contract, fraud and unfair trade practices. Obtained dismissal of putative class-action action in federal court asserting claims for unfair and deceptive trade practices against candle manufacturer. Successfully defended Wachovia Corporation (now Wells Fargo) and directors against a suit seeking injunctive relief in connection with the Wachovia/Wells Fargo merger. Represented First Union Corporation in hostile battle with SunTrust Bank, Inc. concerning the First Union merger with Wachovia Corporation. Represented national bank in numerous types of contractual and banking disputes. Successfully defended against a minority shareholder’s suit to block a proposed merger before the North Carolina Business Court, a result subsequently affirmed by the North Carolina Court of Appeals and the North Carolina Supreme Court. Obtained favorable settlement, following commencement of litigation in North Carolina Business Court, for client arising from dispute with partners in a large commercial real estate project in uptown Charlotte. Secured resolution of partnership dispute for solar-developer client after litigation in Louisiana federal court. Represented a client at trial in a lengthy appraisal trial to determine the value of a merged company’s stock value, resulting in a favorable verdict for the defense. Obtained favorable result, affirmed by the North Carolina Court of Appeals, in favor of client in litigation with former business partner. Represented shareholders of retail company in legal action and successful proxy contest to elect new board of directors. Regularly represents minority shareholders and companies in shareholder or partnership disputes. Regularly represents employers in various types of industries, including health care, manufacturing, supply chain logistics, banking and motorsports, in lawsuits to enforce covenants not to compete and to restrain the disclosure of trade secrets and confidential information. Obtained a favorable decision from the North Carolina Court of Appeals on enforceability of employer’s covenant not to compete with former executive. Okuma America Corp. v. Bowers, 181 N.C. App. 85, 68 S.E.2d 617 (N.C. App. 2007). Obtained summary judgment for hospital dismissing physician’s Section 1981 race discrimination claim. Virmani v. Novant Health, Inc., 2005 WL 1983868 (W.D.N.C. 2005, aff’d 194 Fed. Appx. 143 (4th Cir. 2006). Secured favorable resolution in multiple actions on behalf of former employees in litigation brought by former employers for misappropriation of trade secrets and related business torts. Obtained successful resolution for Fortune 500 manufacturing company in claims against former employees for misappropriation of trade secrets and unfair trade practices. Assisted motorsports companies in federal wage and hour investigations.